It would be reasonable to conclude that former Transnet CFO Anoj Singh and former CEO Brian Molefe either gave inadequate information to the Transnet board regarding a tender for the building of 1 064 locomotives, or didn't think the deal through properly, a report has found. According to the report by Alister Chabi and Robert Oketch of Mncedisi Ndlovu & Sedumedi (MNS) Attorneys, the former chief financial officer and former chief executive "either failed to apply their minds one way or another; or had intended to provide material that is misleading/ incorrect; and/or inadequate information to the Transnet board". The report recommends that Singh and Molefe, as well as all the members of the Transnet board's acquisitions and disposals committee (BADC) and Capital Investment Committee (CAPIC), be held personally liable for their conduct in the matter. Singh, who later became CFO of Eskom, resigned from that position earlier this year amid allegations that he was involved in irregularly awarding contracts to Gupta-linked businesses. The Transnet report also found that the parastatal's board made decisions relating to the locomotive deal based on a business case presented by Molefe. According to the report, Molefe and Singh failed to exercise a duty of reasonable care and diligence relating to the locomotive deal. "They, as well as each member of the BADC and CAPIC, can be described as falling short of the provisions of the Companies Act in having failed to act in the best interests of the company [Transnet] or with the degree of care, skill and diligence that may reasonably be expected of a person in that position," states the report. 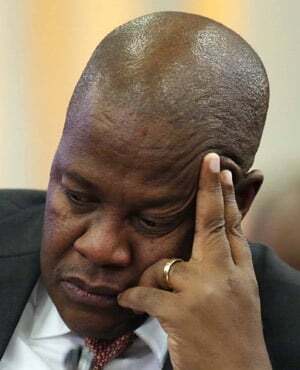 Molefe and Singh recommended a business case to the board that exposed Transnet to paying about R15bn more for the locomotives than originally indicated when the tender rocketed from R38.6bn to R54bn. "If there is suspicion that Singh, Molefe and/or any other member of the committee had unduly benefited from the transgression, or if there is evidence that shows they misled the board as a result of corruption, Transnet is required by law to report such known or suspected corruption to the law enforcement agents," the report points out. In dealing with post-tender negotiations (PTN) relating to the locomotive deal, the report found that the negotiating team failed to derive value for money for Transnet. Therefore, the report finds that Singh (one of the chairpersons of the negotiating team) and others failed to act in the best interests of Transnet, by failing to negotiate a reasonable price that would have derived value for the company. The report, therefore, recommends that Singh and others, be held personally responsible. The report found that a case of negligence could be made against certain officials, like Singh and Molefe, for the abovementioned failure to exercise their duty of care, skill and diligence. The report argues that, to the extent that there is a reasonable suspicion of fraud and corruption that could have led to an increase in costs involved in the locomotive deal, Transnet would be entitled to lay criminal charges against Molefe or Singh. "The business case submitted by Transnet did not provide an accurate estimated cost of the transaction in that the executive summary in the business case contradicted the contents of the business case. "It was, therefore, non-compliant with the provisions of the Municipal Finance Management Act (PFMA)," states the report.